This girl-loves-ghoul, rock & roll musical is set in the atomic 1950s at Enrico Fermi High, where the law is laid down by a zany, tyrannical principal. Pretty senior Toffee has fallen for the class bad boy. Family pressure forces her to end the romance, and he charges off on his motorcycle to the nuclear waste dump. He returns glowing and determined to reclaim Toffee’s heart. He still wants to graduate, but most of all he wants to take Toffee to the prom. The principal orders him to drop dead while a scandal reporter seizes on him as the freak du jour. History comes to his rescue while a tuneful selection of original songs in the style of 50s Hits keeps the action rocking across the stage. 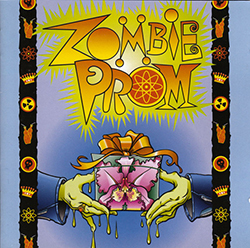 “Zombie Prom” is presented by special arrangement with SAMUEL FRENCH, INC.
Arguably the most famous love story of all time, this play tells the tale of a boy and a girl from warring families who meet and fall in love. Fate is not on their side, however, and their love comes at a cost to all. CARRIE the musical is presented through special arrangement with R & H Theatricals: http://www.rnh.com. We are SO excited to get started on these shows!!! And we can’t wait for all of you to come see them! We also should announce that we have changed our location for this summer’s Conservatory programming and will be setting up shop at the BRAND new Trevor Day School building on East 95th Street! We can’t wait to begin this new partnership and work in this new, beautiful space. It is a MUCH bigger theatre than we have been working in, so make sure you invite all of your friends and family this summer 🙂 We will put up more information on tickets as the dates get closer. Summer Conservatory receives National Endowment for the Arts grant! Wingspan Arts is thrilled to announce that we’ve received a grant from the National Endowment for the Arts (NEA) to support our tuition-free Summer Conservatory program! Because Conservatory is tuition-free, we rely on generous funders like the NEA who recognize the talent of our students and strength of our program to keep this program going. Through its grant-making to thousands of nonprofits each year, the NEA promotes opportunities for people in communities across America to experience the arts and exercise their creativity. The NEA will make 1,023 awards totaling $74.3 million nationwide in this funding round. 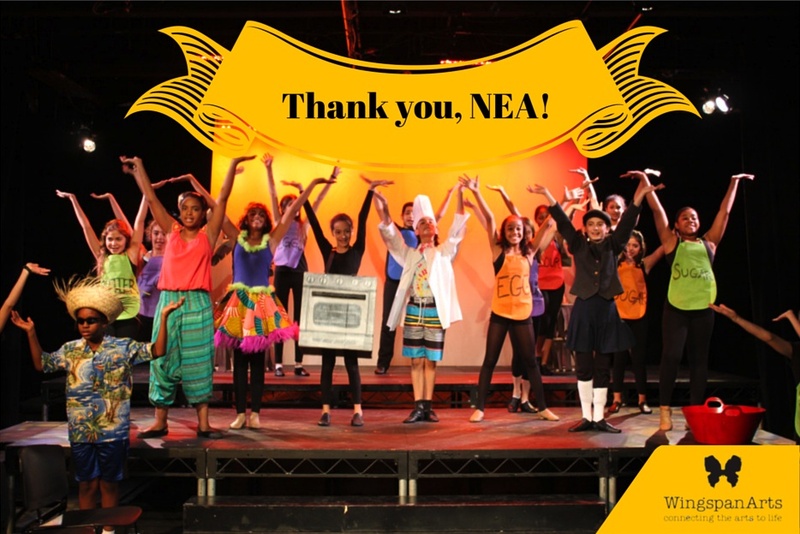 Thank you, NEA, for your generous support of our students!